This post caught my eye because my mom always said I was going to go deaf if I listened to my music as often and as loud as I do. One thing I am curious about is if the type of headphone (earbuds or regular headphones) have different results. 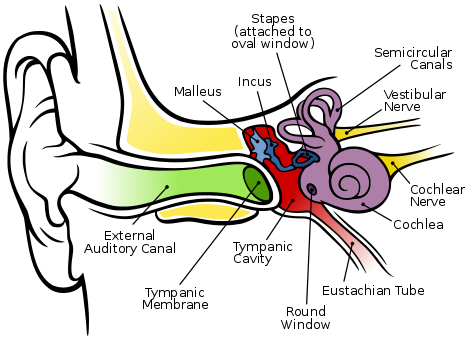 I feel as though ear buds would be worse for your hearing because they are literally in your ear canal pretty much. Overall, very good post I can tell you researched into this a lot! This blog post is very informative and interesting. I admit to listening to music a little too loud through my headphones and I recently became concerned that it was bad for my hearing. It’s relieving to know that there is no direct link between headphones and hearing loss. However, I think it would be better to turn down the volume just to be safe. I think it would be cool if there was a longitudinal study that followed different generations. Younger generations use headphones more than older ones. If there was a study done that compared rates of hearing loss within different generation I bet the younger ones would be higher. I also wonder if the closeness old the waves is more detrimental that the power of the waves. Say you listened to a speaker that wasn’t in you ear but sounded to be the same volume as a headphone. Would that make a difference is how it affects the ears? Interesting post!